This volume provides the English-speaking reader with little-known perspectives of Central and Eastern European historians on the topic of the Russian Revolution. Whereas research into the Soviet Union’s history has flourished at Western universities, the contribution of Central and Eastern European historians, during the Cold War working in conditions of imposed censorship, to this field of academic research has often been seriously circumscribed. 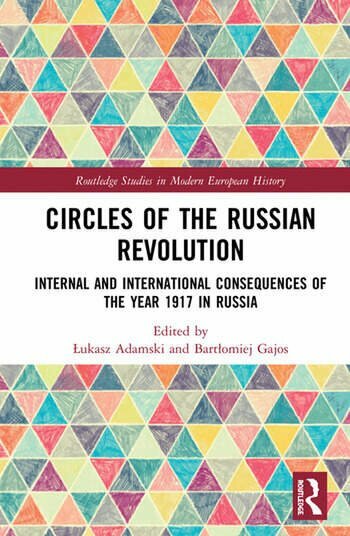 Bringing together perspectives from across Central and Eastern Europe alongside contributions from established scholars from the West, this significant volume casts the year 1917 in a new critical light. "A ravaged century": Did the Russian revolution define the 1900s? Bartlomiej Gajos is a historian, research fellow at the Centre for Polish-Russian Dialogue and Understanding and at the Institute of History (Polish Academy of Sciences). He specializes in the history of the Russian Revolution and politics of memory. Lukasz Adamski is a historian (PhD) and foreign policy expert, and also an author/editor of academic works devoted to Polish political thought, history of Polish-Ukrainian and Polish-Russian relations. He is currently deputy director of the Centre for Polish-Russian Dialogue and Understanding since 2016 (a public institution, established by an act of the Polish parliament).